This stunning wall clock & thermometer is suitable for both indoor and outdoor use. 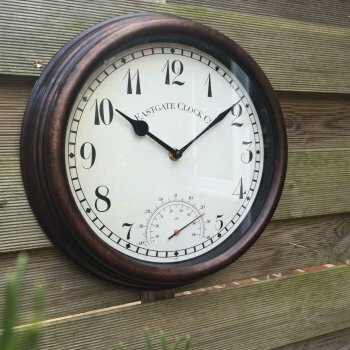 The clock features a rustic antique effect surround and has a built in thermometer. The wall clock and thermometer comes already gift boxed making it an ideal present.